This one of those occasions where a good color combo just comes to you when your walking around and you write it down in your phone notes app so you don’t forget. 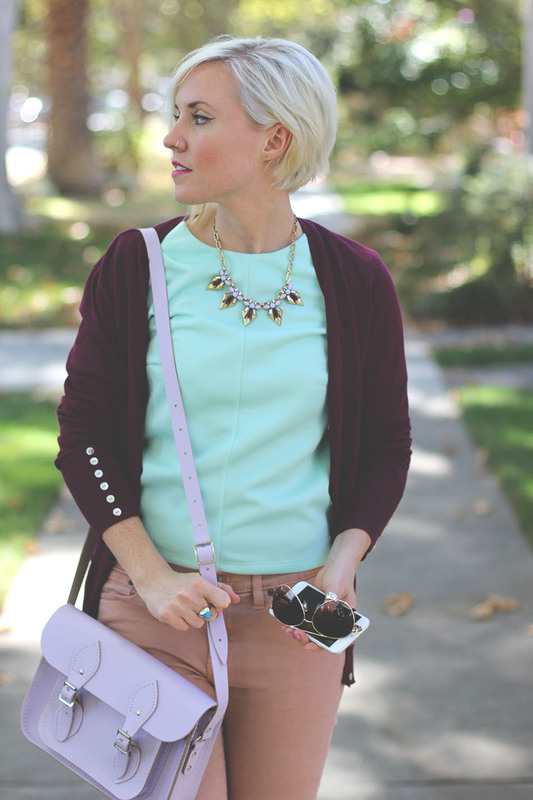 The color that sparked this idea was this lilac colored satchel. How could you pass up such a beautiful color?! I’ve been shy experiment with the super bling-y statement necklaces but this one hits a happy medium for me. Just enough color, weight and structure so you can wear it all day long. If you’re looking for n color palette idea to try. 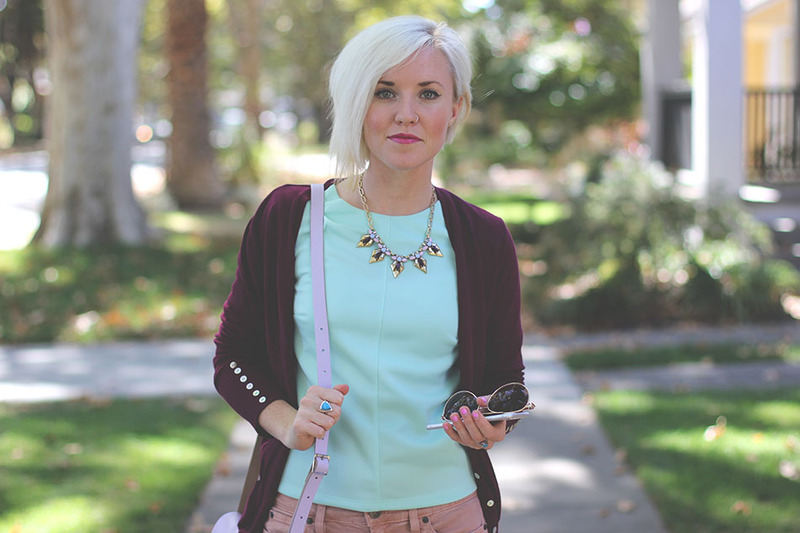 Mix your spring pastels with one or two darker pieces, like this maroon cardigan. I’m sure you’ll be happy with the results! Love that necklace! So cute! Love that necklace! So cute! You look great!